For us, having our own office has been a dream for a while now. But, we have finally fleshed out this dream, and it’s time to unveil the new and cool work-space we have built. Today, Sayint owns one of the youngest, most happening workspaces inspired by the technologies of tomorrow. We use AI and other important innovations to set new benchmarks in customer experience. And these innovations in return are helping our new workspace to evolve at a tremendous pace. Prasad Wagle, Head of Engineering at Sayint, will walk you through Sayint’s new office in Hyderabad and give you a glimpse of what it is like to work here. Why Did Sayint Choose Hyderabad? we know the wonders data can do for a company when it is processed the right way. We want to help organizations world-over to use such meaningful data that will allow them to grow. And what place better to get data-driven solutions from than India’s technology hub, Hyderabad? This city is one of the finest in India, and in the world, for technology resources. 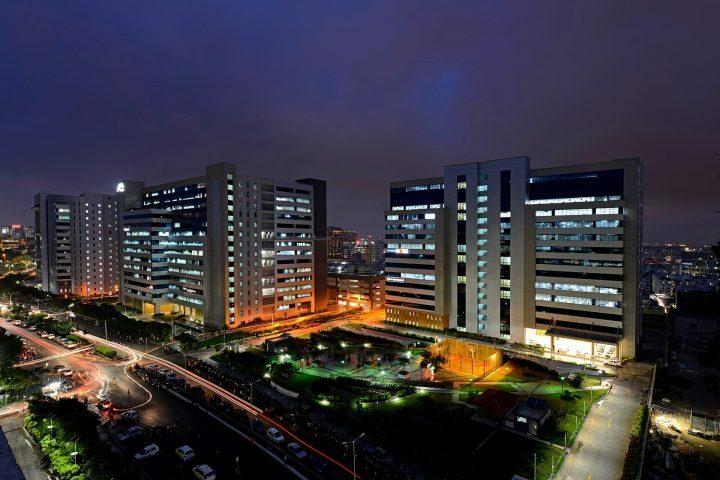 It hosts major companies and startups, and Bay-Area tech giants such as Uber, Microsoft, and Google besides top universities such as IIIT, IIT, and ISB that produce the talent required. When was Sayint established in Hyderabad? We established Sayint in Hyderabad back in 2016 and moved to our new work-space this month (in 2018). What Prompted A New Work-Space? When we first set foot in Hyderabad, we found that a co-working space works best for us. It gave us the flexibility we needed to grow and expand. The space was viable when our team was smaller; but, after growing to the size we are today, it became clear that we needed a larger, more customizable office space we can call our own. Plus, a larger block would allow us to offer our people the perks they know and love. Which Teams Does Sayint Employ In Hyderabad And What Roles Do They Play? Our folks work in a wide range of teams dedicated to Speech Analytics, NLP, Machine Learning and Artificial Intelligence. The roles our teams play include engineering, data science, content strategy, and user experience research. Where Else Does Sayint Operate? Hyderabad in India is our HQ for technology. Our business, sales, and Research and Development wings, which are dedicated to global expansion and research, operate from our Seattle (Washington, USA) office. Where Do You See Sayint 5 years Down The Line? The world is changing rapidly. In order for us to adapt to it, both our people and the company must develop faster than the world is changing. This, in turn, demands Sayint to improve its tech stack, which will help it scale faster across multiple verticals, and deploy a ready-to-go customizable solution with a development ETA of less than 2 weeks. We are a Speech Analytics company that uses Artificial Intelligence, Natural Language Processing, and Machine Learning to help businesses identify patterns in data related to speech, and use them to improve customer engagement and experience. This will in turn give the businesses accurate sales metrics and improve their business. Does Sayint give its teams flexibility? Yes, we give our people the flexibility of work, in what they work and how they work. Not every team is at the same point in its evolution, but our goal is for each team to be on a path towards having the ‘best-in-class ownership.’ Sayint is not just about its engineers, but also its managers, designers, and other roles. The teams are fully cross-functional and therefore require flexibility. What Drives Sayint’s New Work-Space? Our business owes its uniqueness and growth to the amazing people who work here and the vibrant culture that pervades it. It is this synergy of tech, people, and culture that drives Sayint’s new work-space towards its goal of helping companies utilize data in a way that will help them grow. If you’d like to delve into an intense discussion on transforming how Sayint can help your business grow faster and better let ’s take it to our conference room right away – reach us here. On the other hand, if you are someone who is excited about being a part of the exciting things we do, we will save a few chairs for you, while you apply for a career opening here. For us, having our own office has been a dream for a while now. But, we have finally fleshed out this dream, and it's time to unveil the new and cool work-space we have built. What makes a Customized Speech Recognition Product More Business Friendly?